The putting back of the clocks by an hour is one of those landmark moments in a year, the time when people have to come to terms with the likelihood that they will be spending much more time indoors, as winter is coming and the days ahead will be short and cold. At this point, of course, the afternoons immediately get darker as sunset is moved forward by an hour. Conversely, the mornings get an extra hour of daylight, but it will only be a few more weeks before this temporary bonus is eliminated by the ever-shortening day. But while many would rather not open their front door, the reality is there will still be lots of times when heading outside is necessary, such as the commute to work. Commuting in the dark is not much fun, especially if the weather is very cold, so staff may appreciate it if there are opportunities to avoid this. In addition, the fact is that travelling in the winter months is also more dangerous. Poor visibility is primarily a consequence of poor light, but can also be affected by mist and fog, snow and heavy rain, all common features of wintry mornings. Add to that the potentially treacherous road surfaces, and it is small wonder road accidents increase. The RAC supports ditching the current regime of switching from British Summer Time (BST) to Greenwich Mean Time (GMT) between October and March, in favour of keeping BST for winter and putting the clocks a further hour forward in summer. This would effectively mean the UK adopting Central European Time. It has argued that the evidence suggests road accidents would be slashed if this were to happen, based on Department for Transport research into a three-year trial of abandoning GMT between 1968 and 1971. This indicated deaths would be cut by 80 per cent and serious injuries by 212 per cent per year. While your company cannot change the time, you can artificially improve the situation through flexible working. By allowing staff to start work an hour later when GMT kicks in, you can ensure they are commuting when the roads are statistically safer. Indeed, because this will be after the rush hour, their whole travel experience may be much enhanced. Another way of helping staff avoid a dark morning commute is to allow more working from home, where this can be done without having a negative effect on the firm. For instance, if someone is writing a report, or can use a video link to connect to a meeting, or use email to send important data they have been compiling, it may not be necessary to actually be in the office. Only if they have to use specialist equipment kept at the premises or work in a customer-facing role will physically coming into work always be essential. Finally, on a health note it is important to make sure staff who are in the office try to get outside or at least near the windows in their lunch hours. This is so they can maximise the daylight they get on short days. It helps them absorb more vitamin D and can also help combat seasonal affective disorder, which can leave many people suffering fatigue and depression in the darker months. 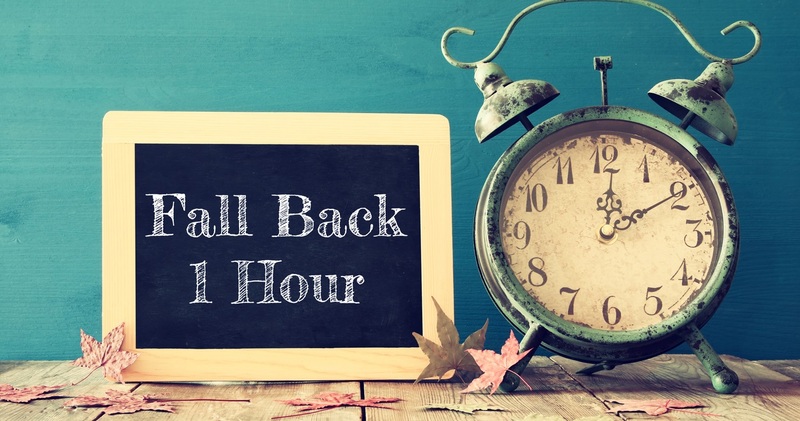 By taking these steps, you can help ensure your staff cope better now the clocks have gone back and the days are getting short.